The restaurants in The Westin, Hyderabad are known for their elaborate Sunday brunches. For an Italian experience there is the Bubbalicious brunch at Prego, and the multi-cuisine brunch at Seasonal Tastes is arguably the most popular Sunday brunch in the city. Now the hotel has another feather in its cap – a completely Desi Sunday brunch at their Indian specialty restaurant Kangan. Located inside an IT park, the Aloft Cessna Business Hotel is truly one of a kind. The hotel stands tall amongst the other buildings in the business park and is located quite close to the gate. 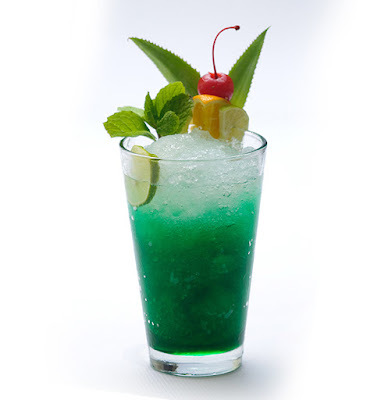 The ambience is casual and vibrant with a colourful theme, mainly comprising of green and blue shades. 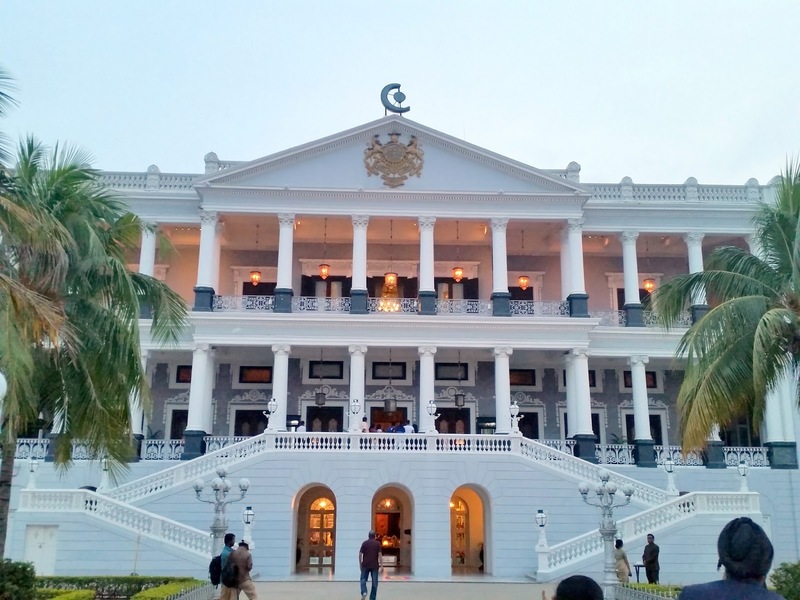 The Falaknuma Palace needs hardly any introduction to either Hyderabadis or to the lovers of history. One of the finest palaces of India, it has been a crown jewel of the Nizami state. In 2010, Taj Group of Hotels opened the doors of the renovated palace as a luxury hotel, and since then the hotel has been widely acknowledged as one of the best palace hotels of the world. ITC Hotels have been regularly presenting cuisines of different regions of India at their various restaurants in ITC Kakatiya, Hyderabad. 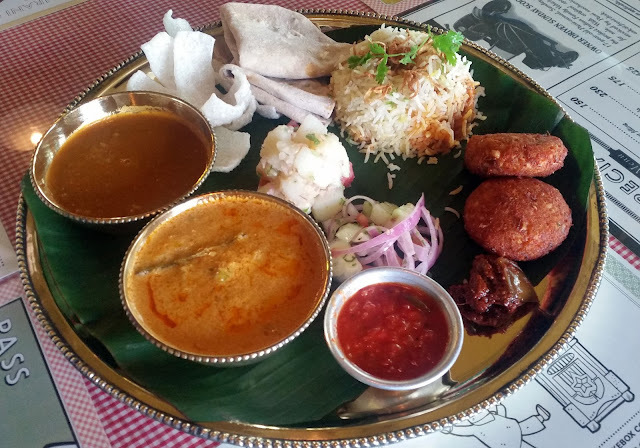 In recent times, we had festivals showcasing food from South India, such as Mangalore, Telangana, Chettinad regions as well as the cuisine of Navaithas of Tamil Nadu. The hotel now has one more feather in their cap – “The Cuisine of the Nawab of Arcot” promotion at Deccan Pavilion. 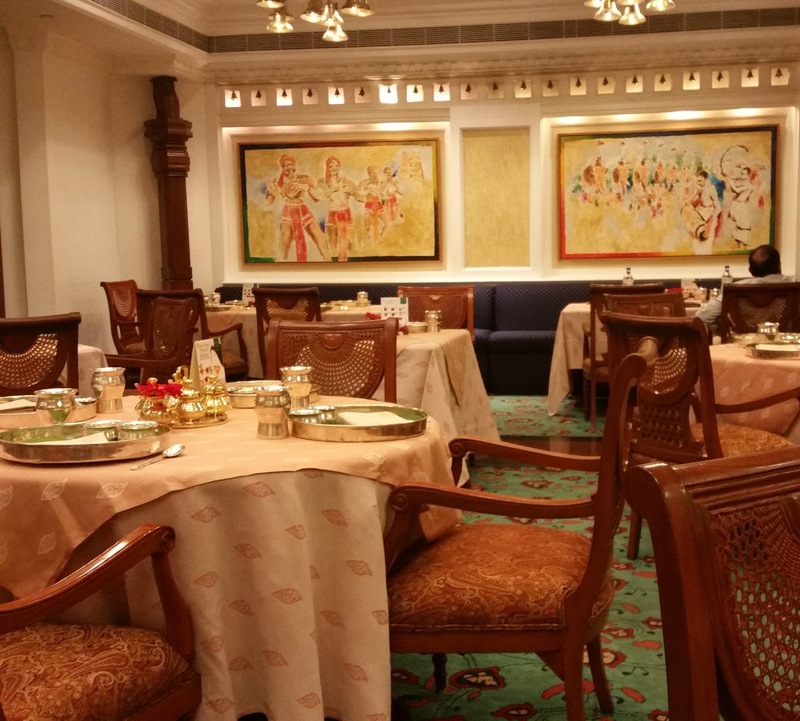 This was a part of the initiative known as Kitchens of India – Royal Repast, where chefs from ITC Hotels research the different Royal cuisines of India. 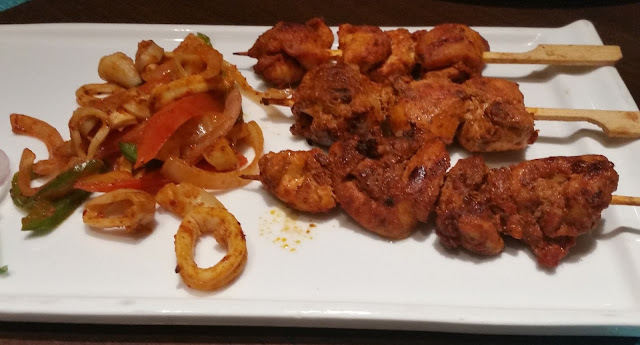 Of the many restaurants run by Ohri’s group in the city, 100 Degrees used to be distinctly different – a favourite of the sizzler lovers of Hyderabad. Couple of years back we were disappointed to see the place next to Hussain Sagar close down. However, the restaurant has reopened at a brand new venue, the complex next to Shilpa Kala Vedike in Hitech City with an expanded menu. 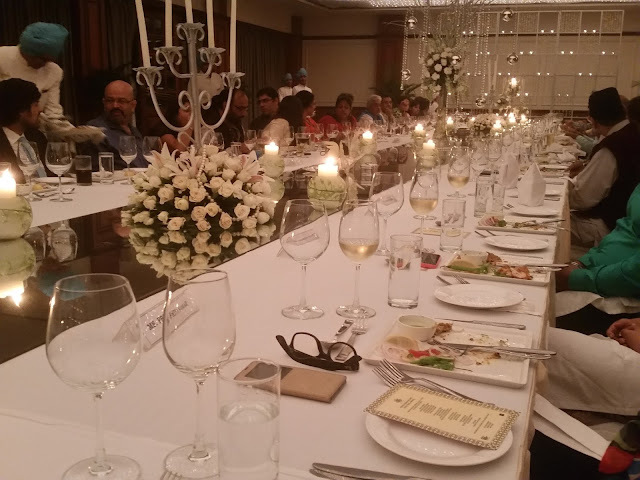 A Blogger’s meet was organized by the management to present some of the items on the menu. 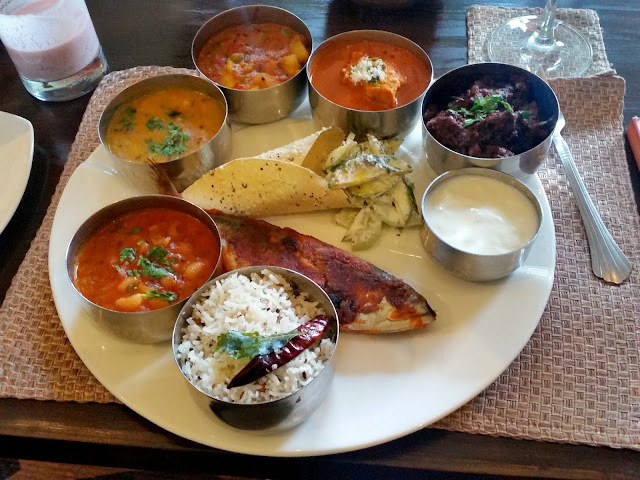 I was a traveling salesman in the early part of my career, and during my journeys to the interiors of various states I visited, I made it a point to try out the local fare, often presented in the form of a thali. A thali meal anywhere in India is pure soul food, where an assortment of simple items of the region are provided usually in limited quantity. As you move from district to district, just like language spoken the composition of the thali gradually changes and after hundreds of kilometers the content is totally different. 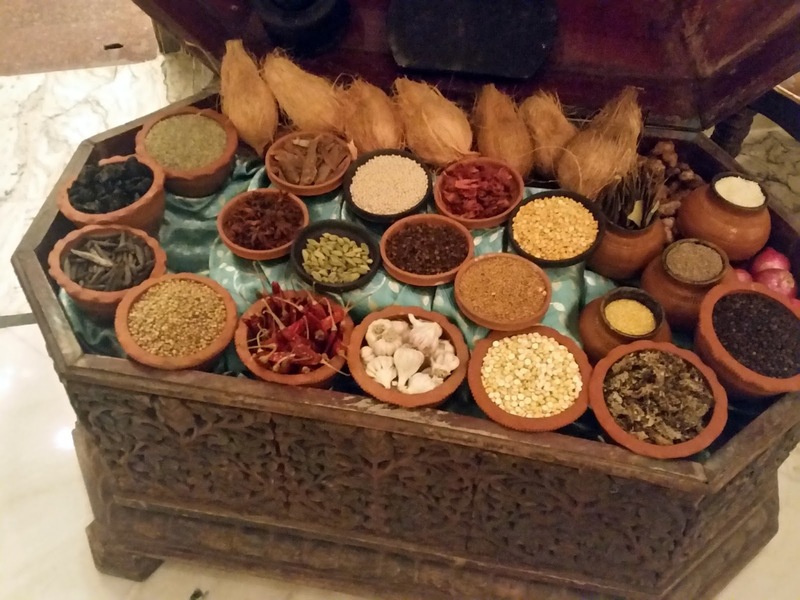 Spice Junxion at Taj Deccan, Hyderabad is organizing a promotion of the Exotic Thalis from the Peninsula. On offer are the typical thalis from seven different locations around the coastline ranging from Kathiawar in westen India to Bengal in the east. Except the Gujarati version, all the thalis have a separate spread for non-vegetarians. The cuisines showcased apart from Kathiawad (only veg) are Malvani, Konkani, Karwar, Chettinad, Kerala and Bengali. 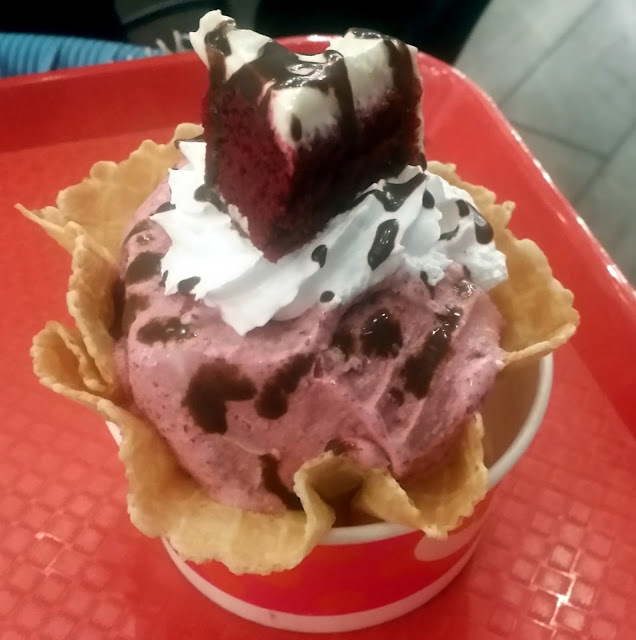 Oh So Stoned has always been widely acknowledged as one of the top ice cream outlets in Hyderabad. Their Nutty Overload, Rum Baba and Scarface have been long time favorites of mine. From their initial place at Karkhana, they expanded to the “Ice Cream Street” opposite KBR Park. 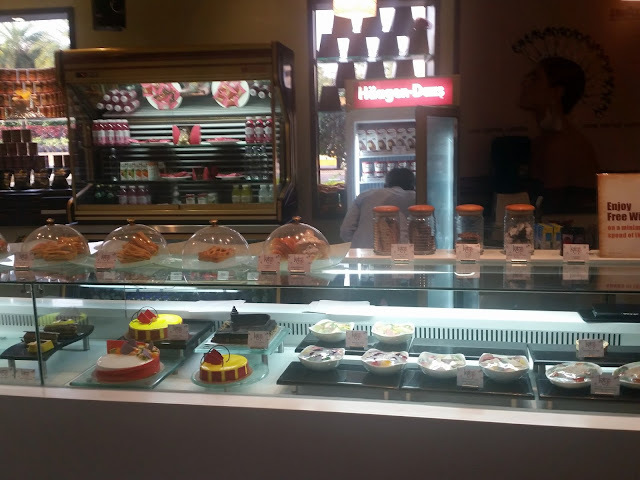 And finally they have come to Hitech City with opening of their larger Jubilee Hills outlet. Positioned at the cusp of Asia and Europe, Turkey is a confluence of culture of the two continents. However, though the Turkish food has marked influences from the Greek and Arabic cuisines, it retains its own uniqueness derived from Ottoman cooking. Seafood is abundantly used in the cuisine as the country is surrounded by sea, and the favourite vegetables are eggplants, cauliflower, okras and chickpeas. These were some of the points explained by Chef Memis Alkan who is here from Turkey to curate the “Turkish Culinary Delights” food promotion at Amara, the all-day dining restaurant at The Trident. Chef explained that the Turkish cuisine in the western part of the country has wide uses of Olive oil, the eastern part has a touch of West Asian delicacies like hummus and babaghanoush in their menu. The cuisine also has a few rice delicious and meat dishes, though they were not part of the menu on the day I visited. 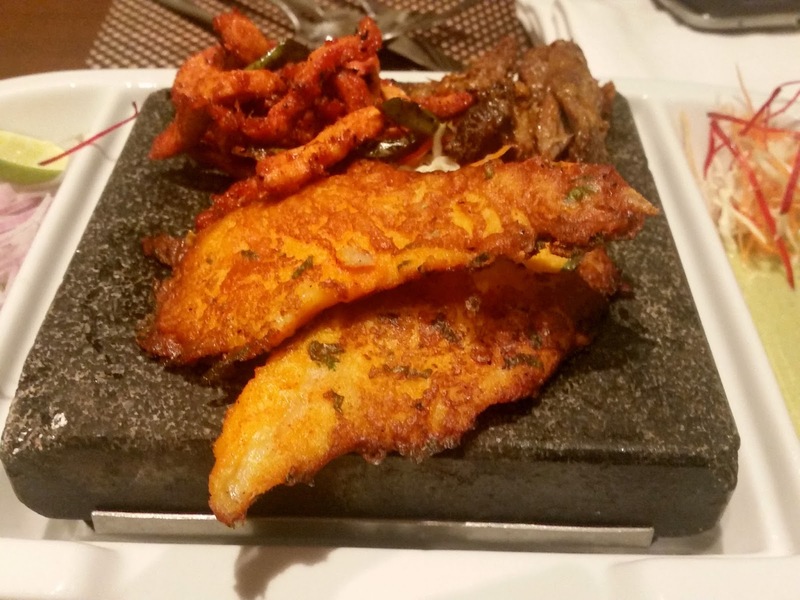 In the recent times there has been a lot of work going on in the restaurant industry in researching and presenting niche or forgotten cuisines of India. In our Hyderabad, we have had events showcasing Moplah, East Bengal, Mangalorean and Anglo Indian cuisines to name a few. I must admit that I had never heard much about Navaithas and their cuisine before. Having spent a considerable time in Bangalore, I love the delicious non-veg food available in the bylanes of Shivajinagar and Fraser Town. At a preview of the promotion of Navaitha cuisine at Deccan Pavilion, I was told by Chef Jamal that some of the items available at these places have evolved from the food of Navaithas, the Urdu speaking community from South Arcot in Tamil Nadu. 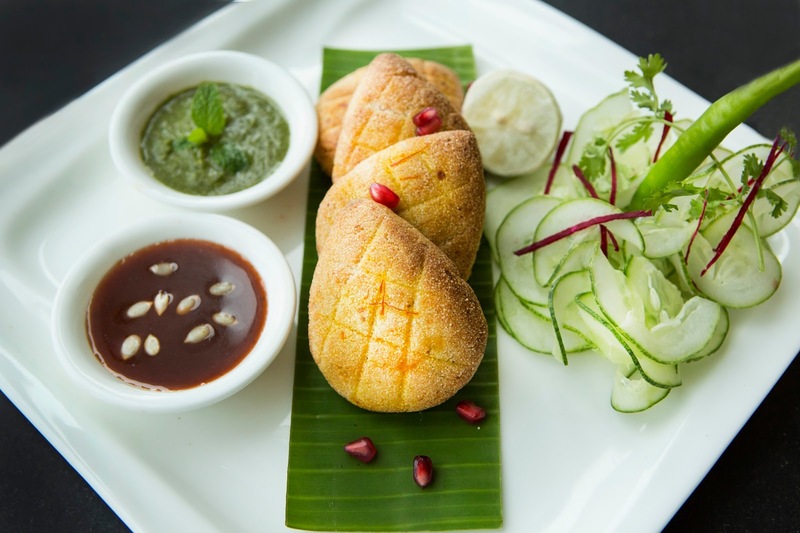 The Navaitha cuisine has evolved from the food of the Arab traders who were their ancestors with incorporation influences of the Nawabi and South Indian flavours as the time went by. 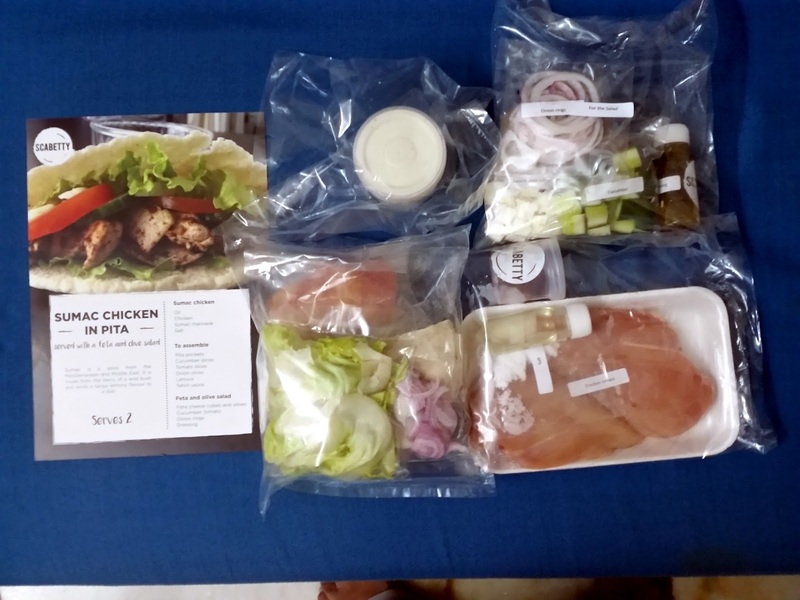 During the busy weekdays, the need for serving a quick meal for lunch has been felt by many customer oriented restaurants who are oriented towards customer satisfaction. 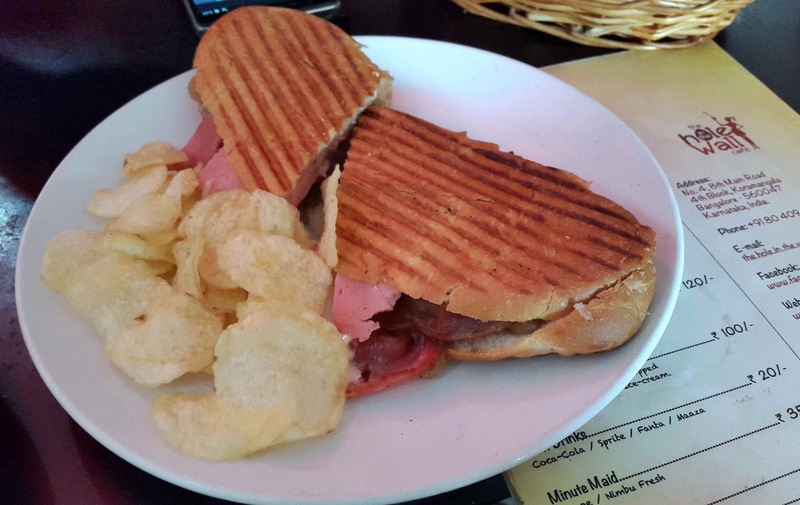 Olive Bistro at Durgam Cheruvu is no exception. 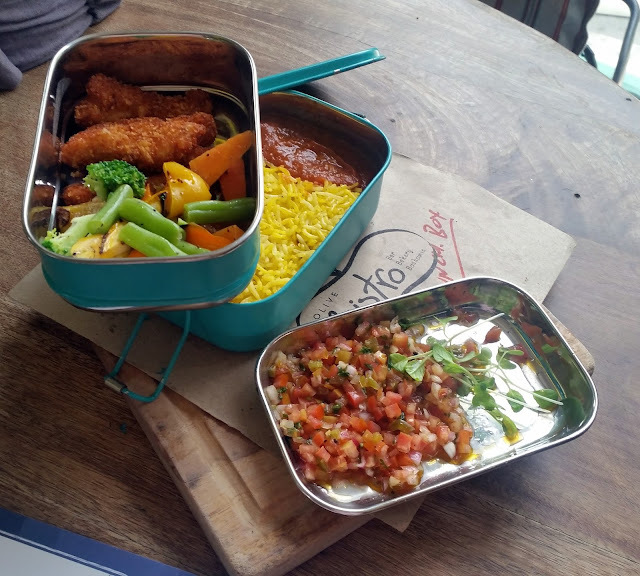 So the popular restaurant has decided to introduce the Bistro Lunch Box – a quick lunch served in a jiffy. 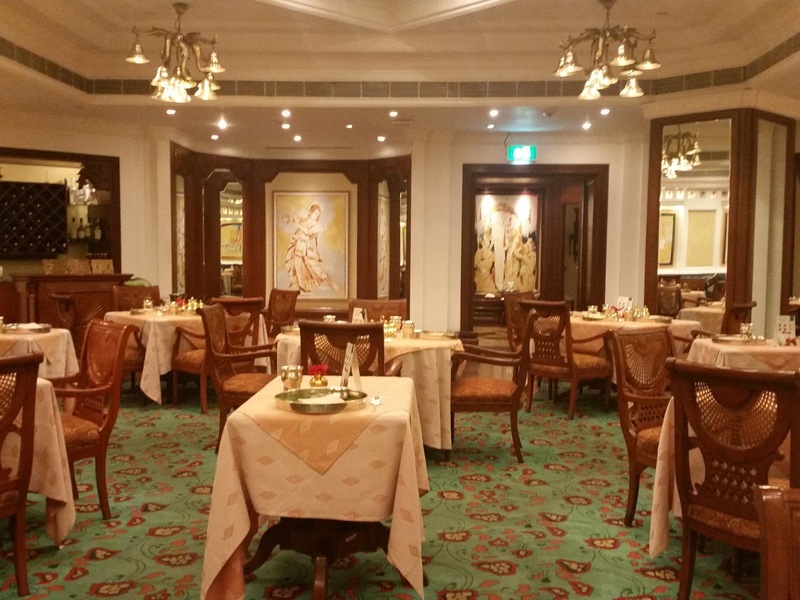 One of the South Indian cuisines popular all over India and perhaps worldwide is the Chettinad cuisine. Known for its unique freshly grounded spice combinations, the offerings from the land of Chettiars are extremely aromatic and a treat for the taste buds. Chettinad is a region in Tamil Nadu, spread over the Sivaganga area, with Karaikudi being one of the major towns in the area. In today’s fast paced world, many busy working couples find it difficult to do their weekly groceries, and often face a situation where after a hard day’s work, they find that their house does not have the minimum provisions to cook a meal. 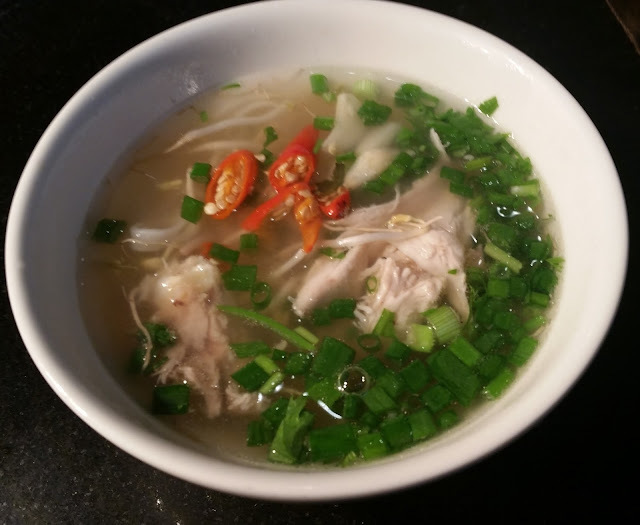 In another case, food lovers often think about cooking exotic dishes but shudder at the thought of shopping for the unusual ingredients which may not be available locally. Also the minimum quantity they may need to buy of some of these may be too much for them to use even over a month. The name “Earthen Flavours” for a food festival got me curious, and on enquiry I found out that it is a festival quite different from the usual ones. 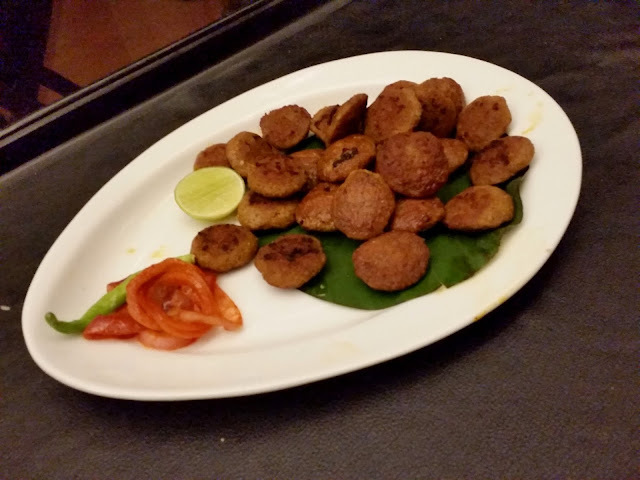 The focus of this fest at Bidri, the Indian restaurant at Hyderabad Marriott Hotel and Convention Centre, is not on food specific to any region or country – it is celebrating the traditional slow cooking style perfected in our kitchens of yesteryears, and still practiced in many parts of the country, using wood fire or a stone. 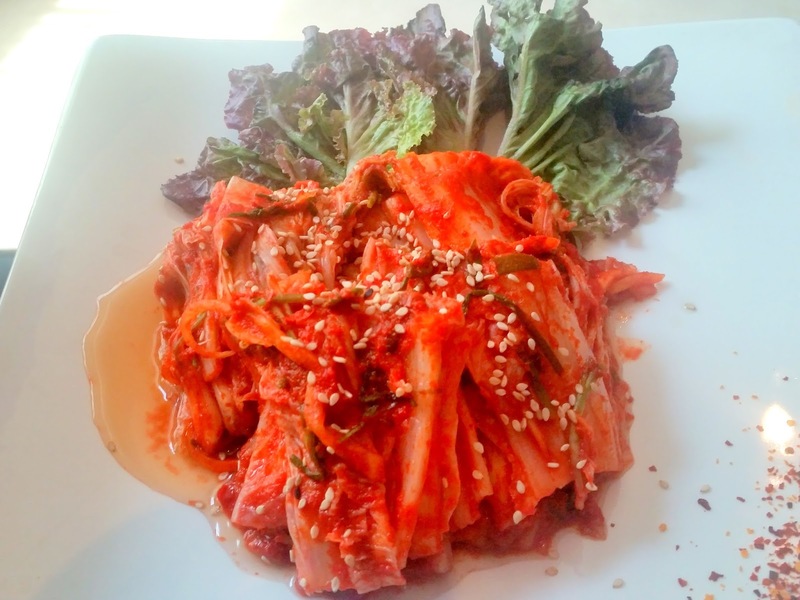 Korean cuisine is a novelty in Hyderabad. Unlike Bangalore or Chennai, the city does not boast of a Korean restaurant – one guest house which used to serve this cuisine closed down recently. Against this backdrop, Syn Asian Grill & Bar at Taj Deccan, known for its exquisite Pan-Asian food, is organizing “Taste of Korea”, which is offering the discerning food lovers of Hyderabad a chance to try out the delicacies from the Korean peninsula. Hyderabad has had its own share of good Bengali food. 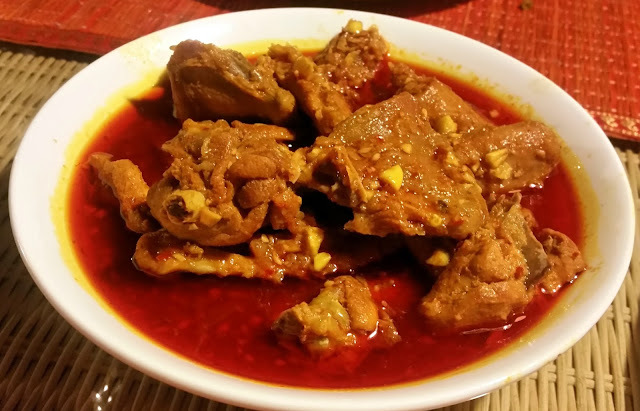 Most of the usually popular Bengali specialties like Kosha Mangsho, Paturi, Chingri Macher Malaikari have been presented well by these restaurants as well as a number of Bengali food festivals held during the year. So when Subhasis Karmakar of Nabanno talked about doing a pop up or special feast of “Goalondo Steamer Cuisine”, food enthusiasts wondered whether it was the same old wine in a new bottle. Hyderabad had always been fairly conservative in its choice of food. People were reluctant to go beyond their favorite biryani and other Hyderabadi items, Telugu cuisine and at best Chinese food. The level of experimentation was very low and only other cuisine which found some acceptance was the tandoori Punjabi cuisine also loosely called North Indian. Even when a restaurant is doing well and already has a set of loyal customers, a relook at the menu is often desirable. This is because of the fact that however satisfied your customers are, still their “Dil Maange More”. 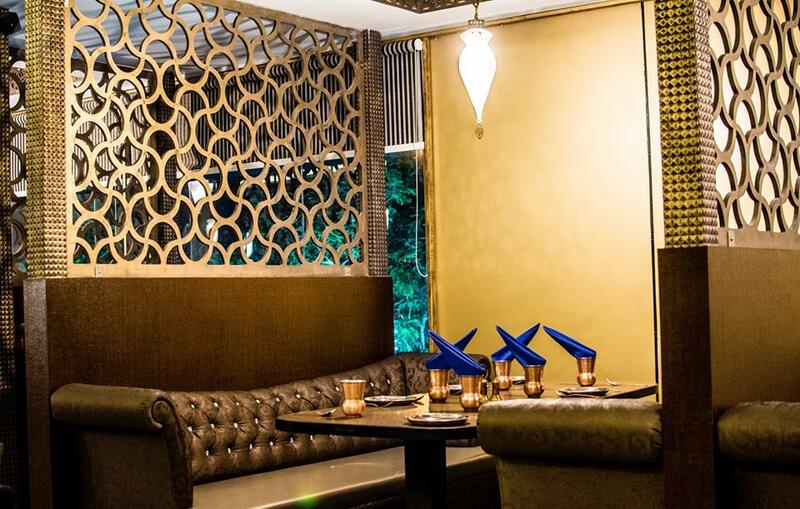 With this in mind, Kanak, the popular fine dine Indian restaurant at The Trident, Hyderabad has recently revamped their menu. The old favorites are still there, but a new set of dishes have been added primarily from the items which became popular from the numerous food festivals conducted by them. 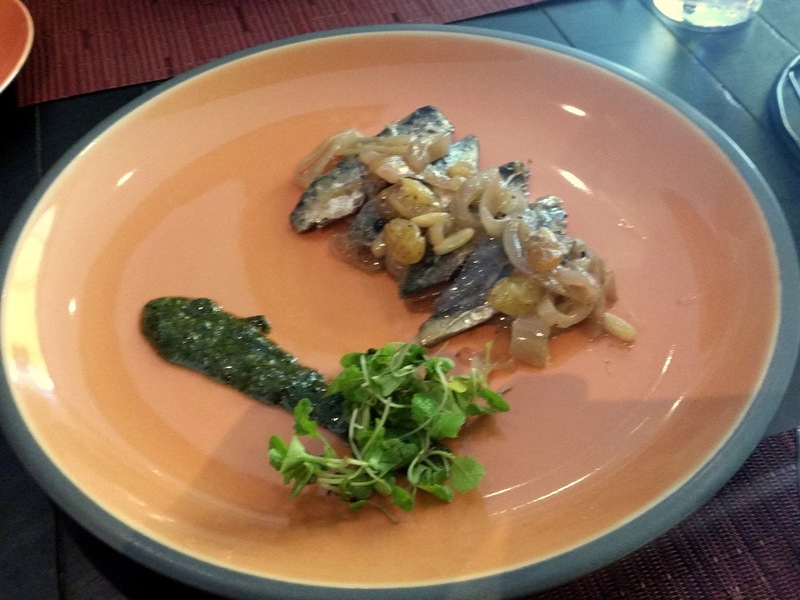 As the restaurant states, it is in fact a menu created by the patrons of Kanak. The menu marks the second anniversary of The Trident in Hyderabad. One of the most popular German festivals, Oktoberfest is celebrated from late September through early October every year. Filled with fun and frolic, it has been made famous by the gallons of beer flowing in throughout the 16 day period. And where there is beer, there has got to be food !! The cuisine of Germany represents its love for meat, right from the sausages to the roulades and the stews. 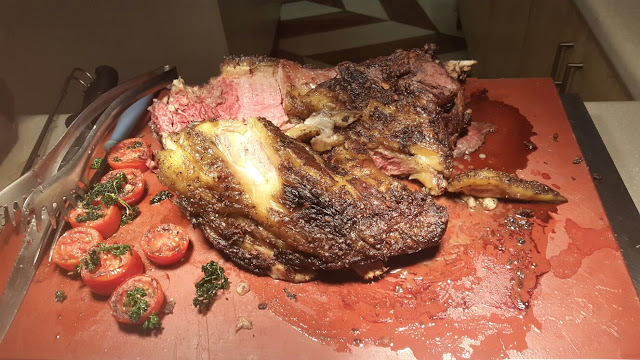 Invited for the fest at Sheraton, Bangalore, I got a taste of the same in one meaty evening. In a city filled with the young working people, the presence of bars, breweries and pubs are quite the necessity to maintain work-life balance and relieve some stress. In Bangalore, there is no shortage of such options and posing as Underdoggs <pun intended> in the already long list of pubs, the famed Sports Bar from Delhi NCR has finally made its way down south and has recently opened up in JP Nagar. A few days back a friend was discussing Indian regional cuisines available in Hyderabad. He mentioned that he was surprised that there were no Goan restaurants here, despite the fact that many Hyderabadis love to frequently travel to Goa and enjoy vindaloo, bebinca and xaccutti. 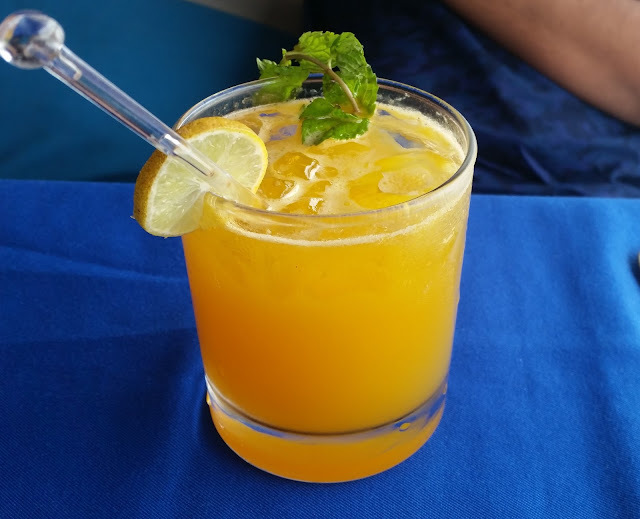 The discussion set the craving in me to revisit Goan cuisine and soon after I was extremely happy to see Radisson Blu Hotel at Banjara Hills organizing a Goan Food Festival at their Chill Restaurant and Terrace. Invited to preview the food festival, I was pleased to meet Chef Leon Dexter from Radisson Goa, who has specifically come down to Hyderabad to organize this festival. Chef Leon explained that he has crafted the menu in this festival in such a way that the dishes represent all three influences on Goan cuisine – the Hindu, Catholic as well as Portuguese. Also, he has chosen some special dishes which are not usually showcased in festivals but represent the food from Goa’s homes. The spices have been brought from Goa, and they are freshly prepared for each dish. Rasta Cafe, one of the vibrant destinations on Mysore Road, is a popular stopover and is thronged by the masses throughout the week. Fully packed even at night, it became popular during the ban of hookahs in Bangalore (being outside city limits) and has grown many fold since then. Prego, the Italian restaurant at the Westin Hyderabad is universally acclaimed to be one of the best Italian restaurants in the city. The fine dine place serves the choicest delicacies from the cuisine and boasts of a sumptuous Sunday brunch. For the diehard fans of the Italian cuisine, Prego is hosting Foods of Venice, a festival showcasing culinary delights from the Venice region of Italy. Invited for a preview of the festival, we were extremely interested in trying out the specialties on offer. Food enthusiasts in India are very familiar with the Royal Awadhi or Hyderabadi cuisines. 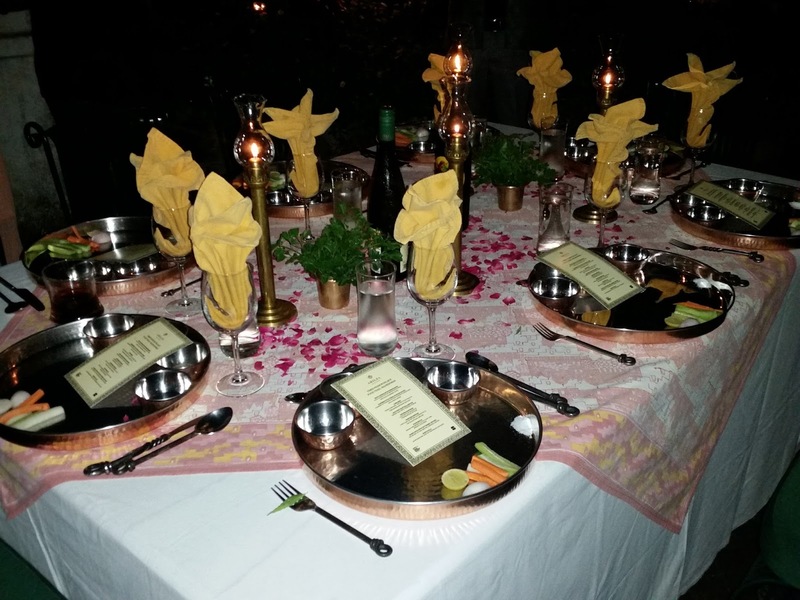 However not much is heard of the cuisine of the Royals of Bhopal, which was a large state under Nawabi rule. I had heard from a few friends earlier that the Nawabi cuisine of Bhopal was indeed very unique and had a strong influence of the Afghani rulers who ruled here from the 16th century. 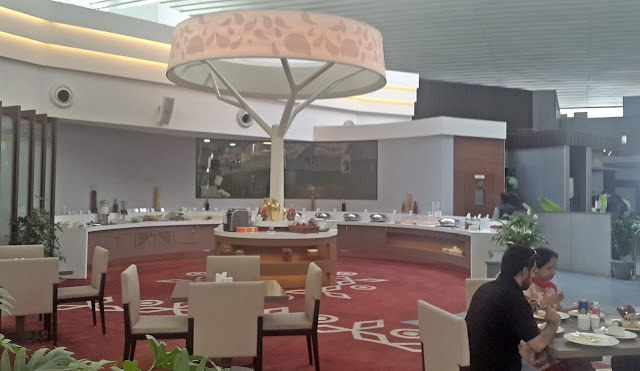 K3, the all-day multicuisine restaurant at JW Marriott, New Delhi, is known as a food theatre with multiple cuisines on display such as North Indian, Cantonese and Italian. It is a big and spacious restaurant with various counters, each serving something different like cold cuts, varieties of cheese, tandoor dishes, pizzas and many more. K3 has a separate dessert counter too for all food lovers with a sweet tooth and a crêpes station. 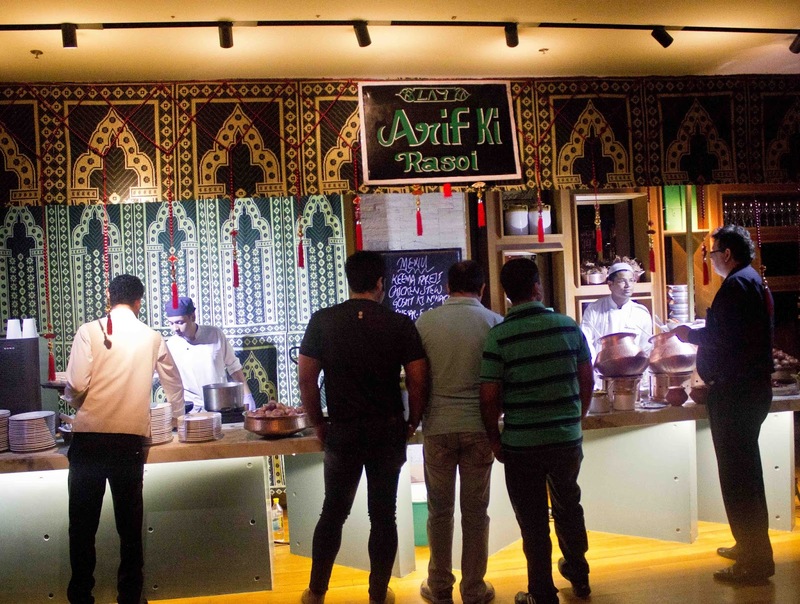 Amidst these stations is a small but noticeable counter of Chef Arif named "Arif Miyan Ki Rasoi". Aptly named, the rasoi serves rich delicacies from the Mughal, Nawabi and Nizami is a part of a Food Festival, which launched on 28th August and will go on till 6th September. 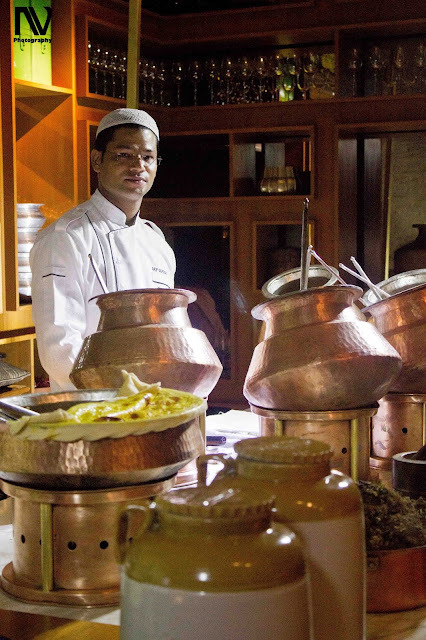 Chef Arif, popularly known as Arif Miyan, has an inspiring life story. Chef Girish, Executive Chef of K3, told me about how Chef Arif used to be a streetside chef in Hyderabad and from there how he has grown to this level. 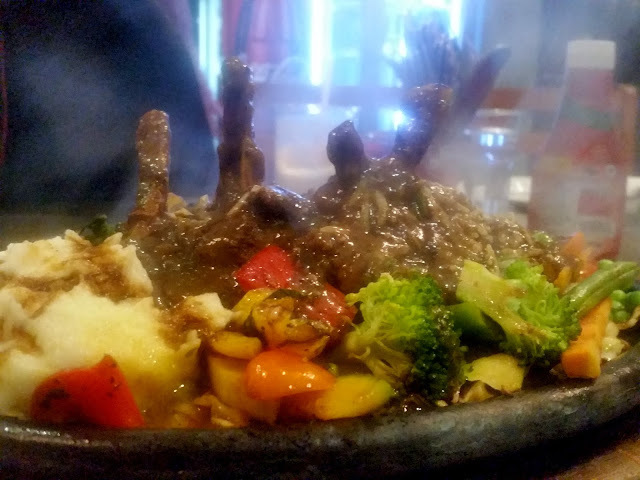 It seems Chef Arif knows the art of bringing out the actual flavor of meat in his dishes and is not being overly reliant on spices, oil and herbs. Invited for a review, I started off with their Keema and Gosht Nihari with some Sheermal, an Awadhi sweetish bread made of maida. Most of the Awadhi dishes have an onion base with very less tomato and spices and cooked slowly in a dum pukht style. Dum pukht style of cooking is extremely popular in India, where the vegetables and meat are cooked on a slow heat for a long time in a sealed utensil to get the flavor out of the meat. Keema prepared here has a very distinctive taste and is cooked with caramelized onion and tomatoes. It is delicious with the aroma of the meat tingling the tastebuds. Sheermal is a small perfectly round bread with a hint of sweetness mostly used in Lucknowi cuisine. It is the perfect companion for both the gravy dishes. 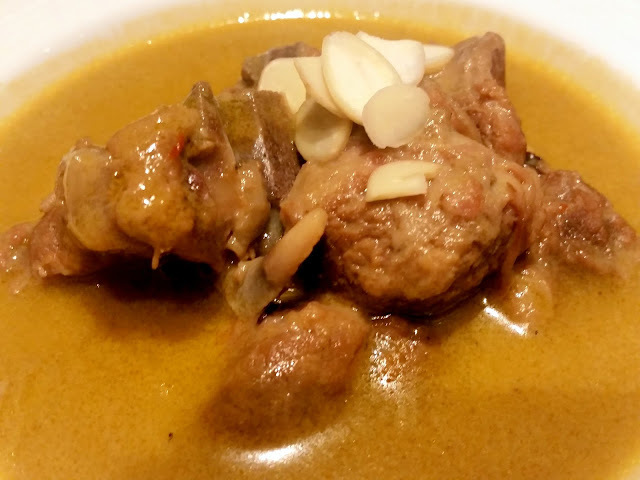 The Gosht(Lamb) Nihari which is dum pukht stew along with the bone marrow was quite different from the Nihari we get in Delhi. The meat came off the bone with little or no effort and the subtle flavors were packed right in the meat and the stew. 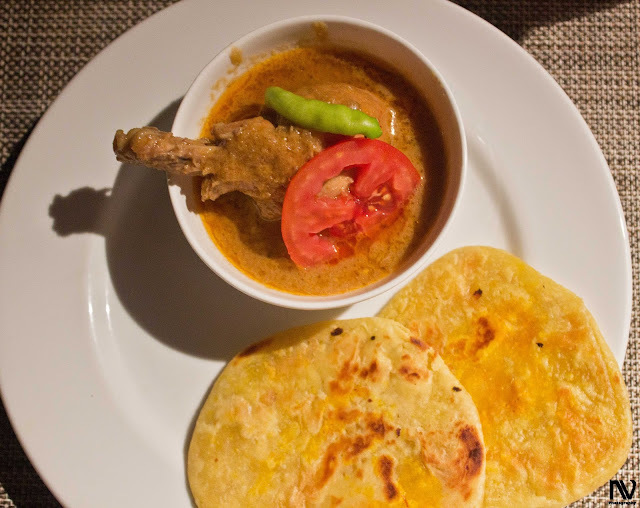 Next I tried the Chicken Stew, which had similar spice levels as the Keema and Nihari. Chef Arif knows how to work with meat dishes and bring out the subtlety of its flavors. 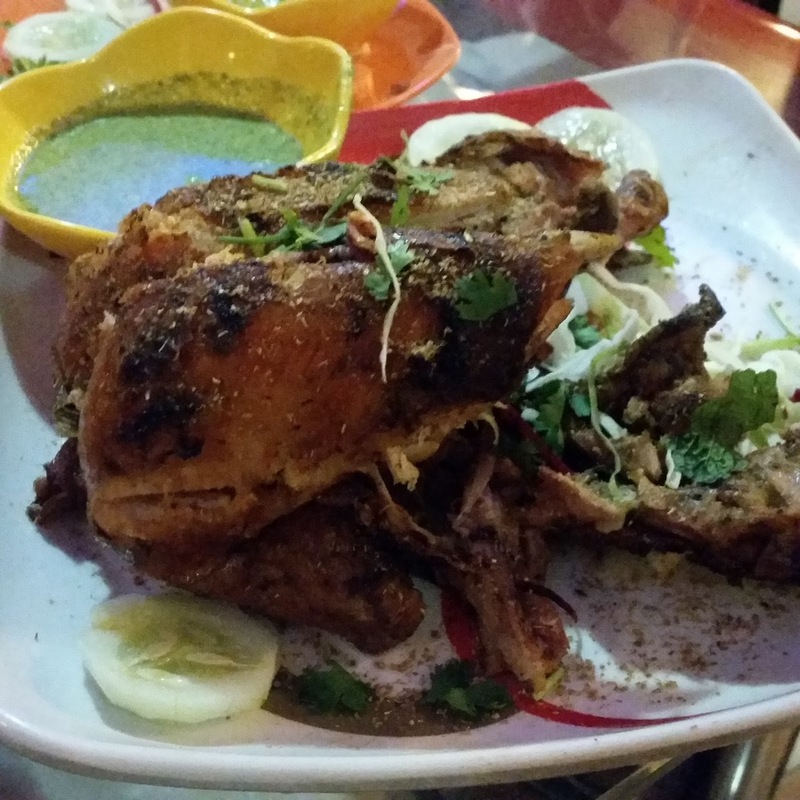 The chicken has a very different taste than of the Keema and Nihari but was enjoyable nonetheless. I took off to a different counter to taste Chef Arif’s Murgh Tikka Biryani. Biryani has evolved a lot from its early Persian days, and a lot of regions have their own style of preparing a biryani. 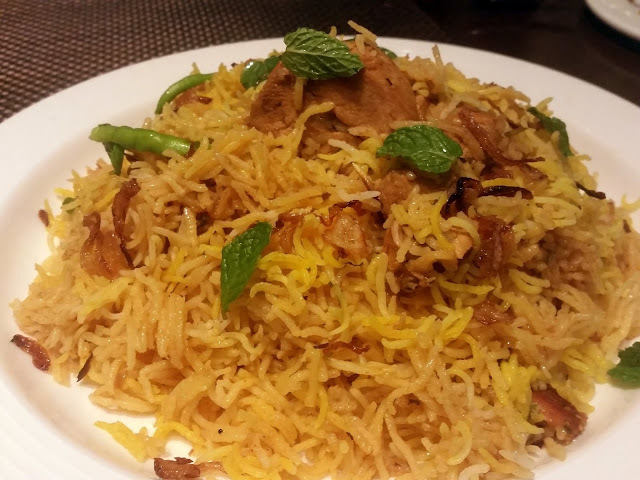 Here Chef Arif uses an achaari flavor to add a twist to the perfectly cooked rice. 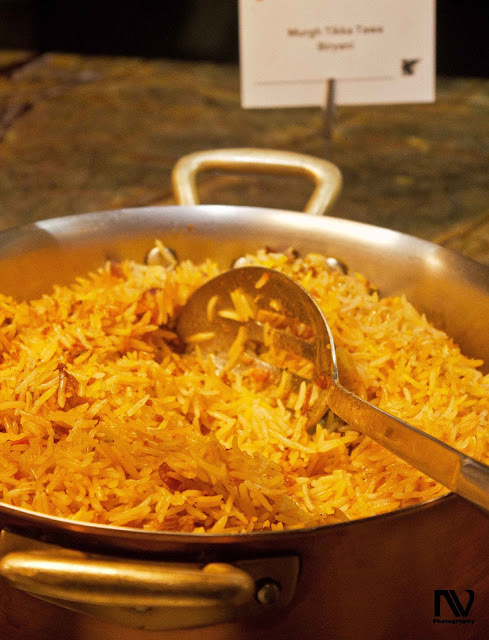 The biryani is simply divine and as you bite into the Murg Tikka, hiding under the bed of rice, you will be taken to whole new level and will not be able to stop yourself from polishing off the plate. It was time for dessert and we were offered the Seviyaan Muzaffar as one of the rasoi's special preparations. Muzaffar is the flavor which comes when we use saffron and lots of nuts to slowly cook the main ingredients of the dessert. 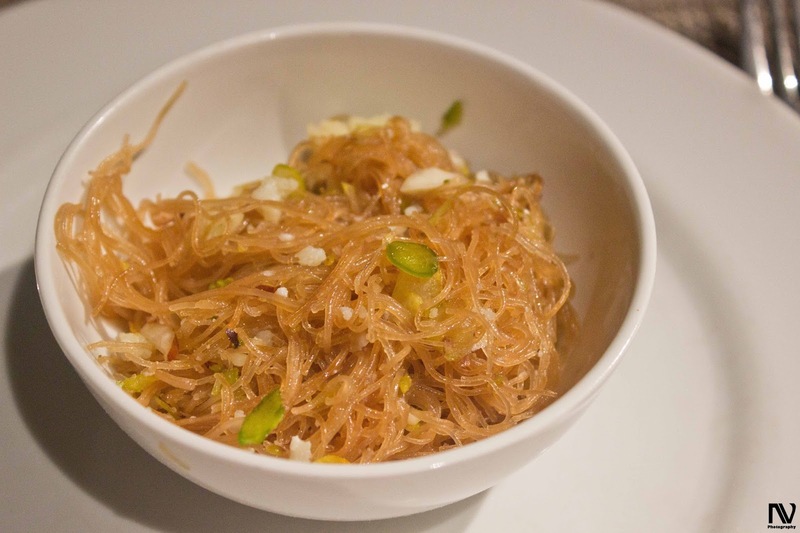 The dessert was to die for, with mild sweetness and lots of nuts and khoya for garnishing it ends the dinner on a very high note and adds a smile of satisfaction on your face. 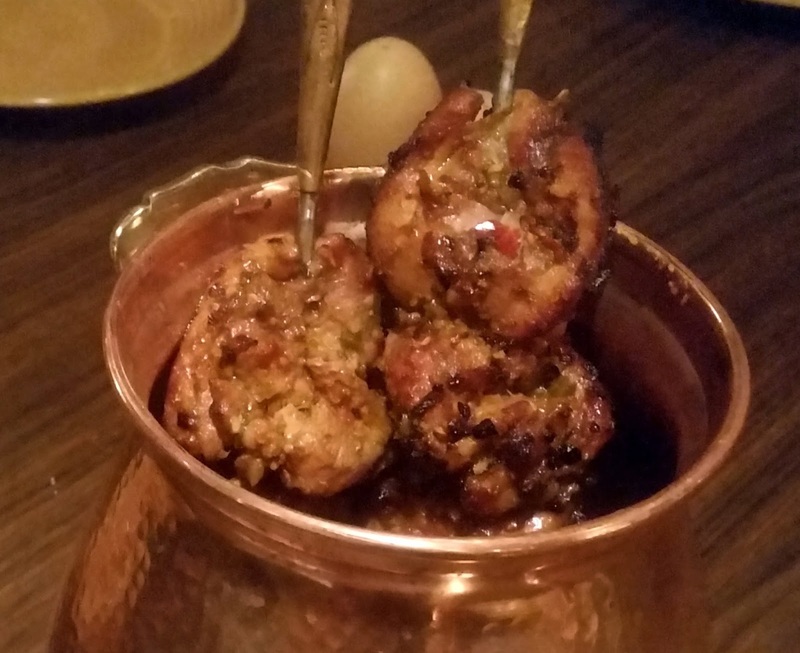 I would definitely recommend all the meat lovers not to miss Chef Arif Miyan ki Rasoi. 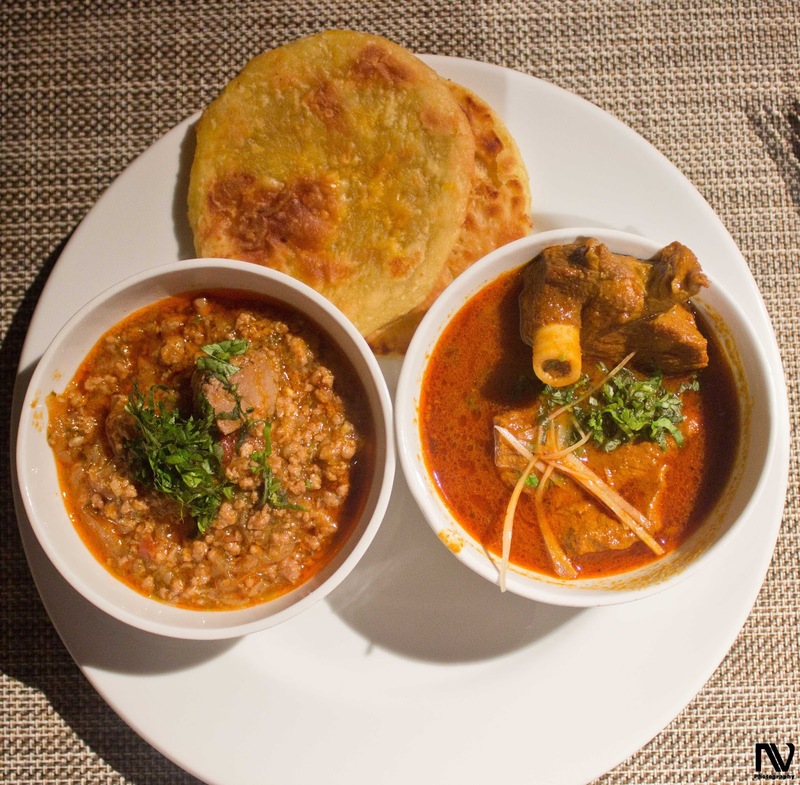 Although the price is a little on the expensive side, you can additionally try out dishes from the entire range of cuisines K3 has to offer along with the Awadhi delights that Arif Miyan Ki Rasoi provides. 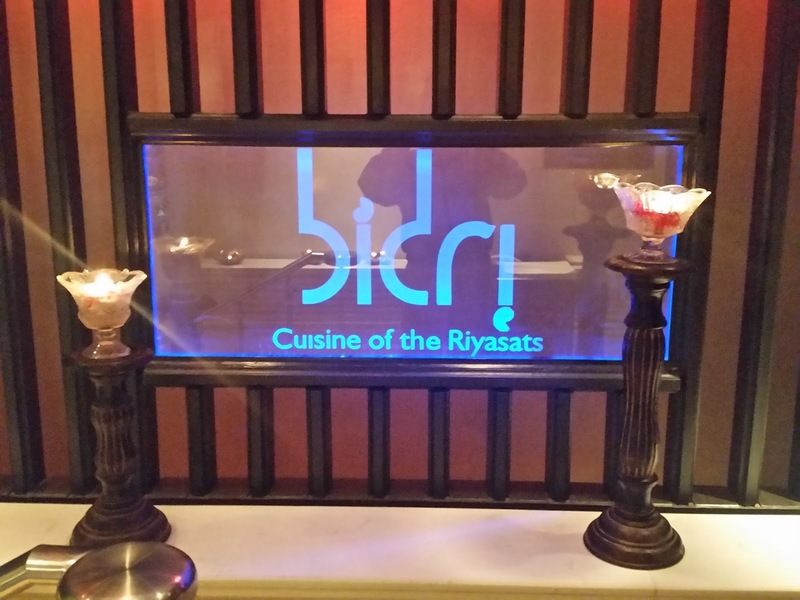 Also the menu changes and the rasoi offers new dishes each day. It is available as a dinner buffet from 28th August to 6th September, with timings from 7:30 PM to 11:00 PM. Breakfast, which is the most important meal of the day is heavily underplayed in the daily routine of young individuals. Working for excruciatingly long hours, an extra minute of sleep is often given more priority with breakfast taking the backseat and generally consisting of a slice of bread or at best, a bowl of cereal. On a typical weekday, corporate executives are hard pressed to take out time for lunch within their busy schedule. Often, they wish is for a quick turnaround at a fine dine restaurant for a meal which needs to be also very satisfying. Dakshin, the exclusive South Indian cuisine restaurant at ITC Kakatiya has come up with the concept of Executive Express Lunch, where you can complete your lunch enjoying all the delicacies of a thali within 30 minutes. 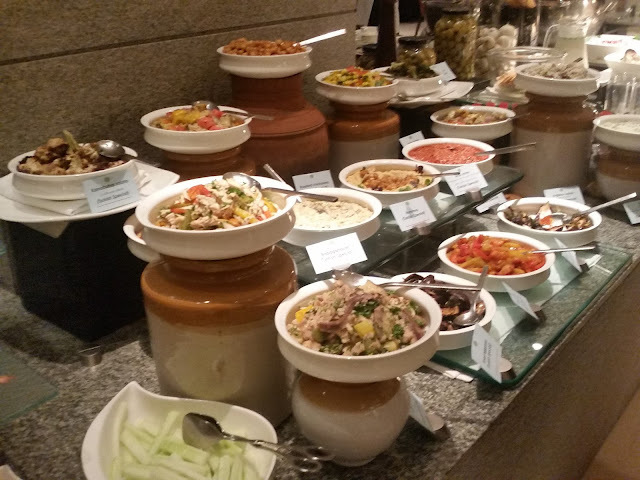 Seasonal Tastes, the all-day dining restaurant at The Westin Hyderabad is very popular for the vast spread of its buffet. Apart from this, the restaurant periodically organizes food festivals to augment the experiences of their loyal clientele. Vividly Vietnamese is one such initiative to showcase authentic Vietnamese cuisine to the food lovers in Hyderabad. 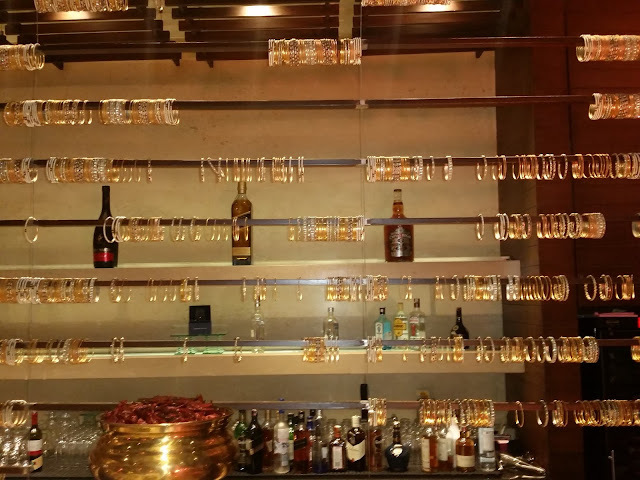 Radisson Blu Plaza Hyderabad Hotel at Banjara Hills used to be one of my favourite places about three years back. 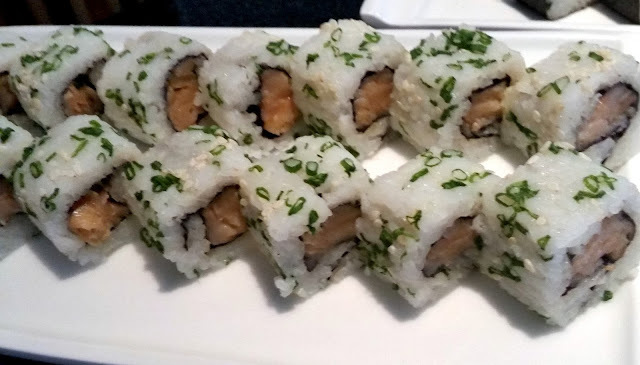 I used to especially love the fare dished out by their Pan-Asian restaurant Holy Basil. However over the last couple of years, the hotel had somehow dropped out of the radar. The chefs and the other staff had changed, and a few visits had been disappointing. When I received an invite to review the Sunday brunch here recently, I must say I did not have huge expectations. However, I was informed that a new team is in place and they are in the process of revamping the place, and a lot of efforts have gone into designing the new brunch. 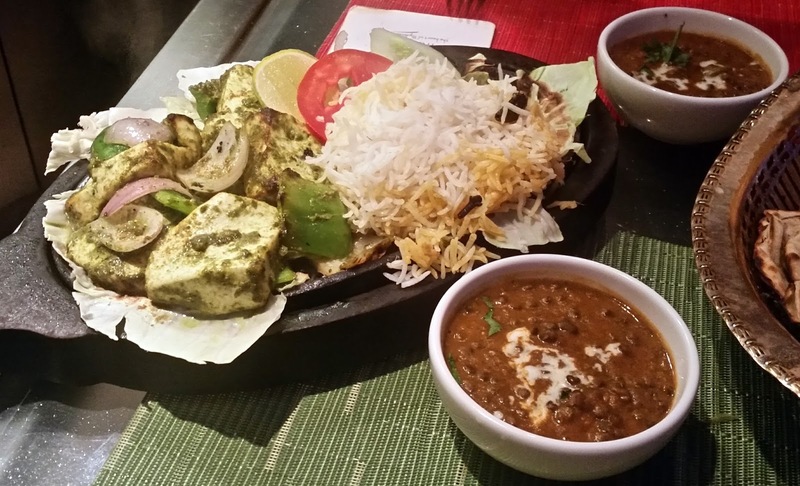 Melange, the global cuisine restaurant at The Golkonda Hotel is organizing a Sizzler Food Festival. 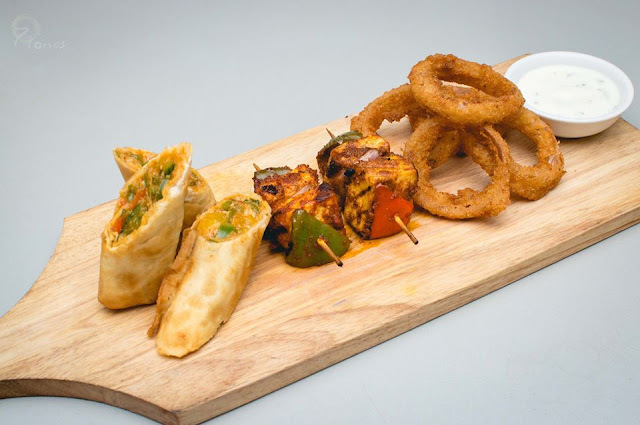 Aptly named during the monsoon as Sizzle in the Drizzle, the festival incorporates contemporary/fusion sizzler recipes ranging from continental to Indian to Pan-Asian. Invited to sample a few of the offerings, we were very enthused after having a look at the menu. The concept is quite different from the conventional sizzlers that we are familiar with. Each item is a complete meal by itself and includes a number of sides. For example, all Indian sizzlers are served with biryani rice, kaali dal and naans - which one would not have encountered in an usual sizzler fest. Totally there are about 20 different items, priced between Rs 375 and Rs 575 (plus taxes). 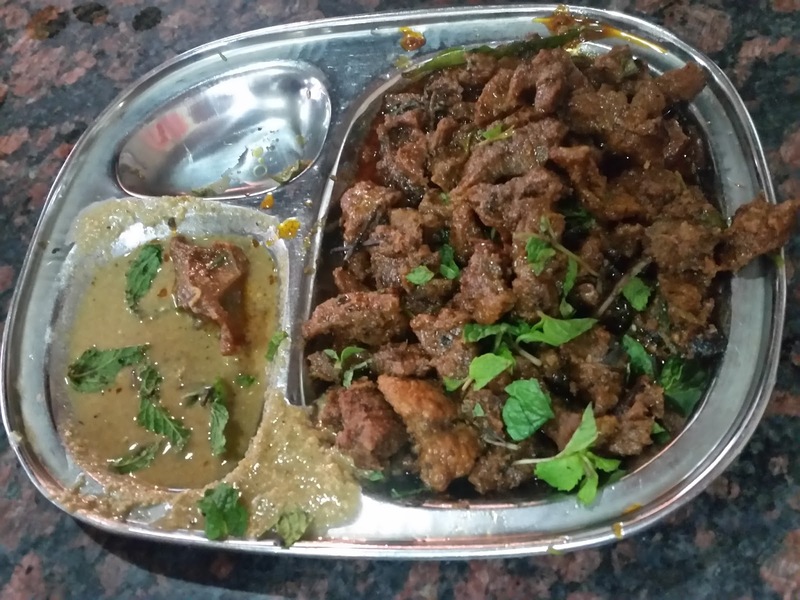 Tucked in the bylanes behind Niloufer Hospital at Nampally is a heaven for beef eaters. Many people in Hyderabad actually believe that the quest for Hyderabadi food is not complete without a visit to Alhumdulillah. Rock & Storm Distilleries was launched in 2010 and has made its name in premium and semi-premium whisky, rum, and gin. Headquartered in Punjab, it has launched its own Vodka brand, by the name of Blue Eyes in Delhi NCR. It is widely available in all the stores and is also pocket friendly. 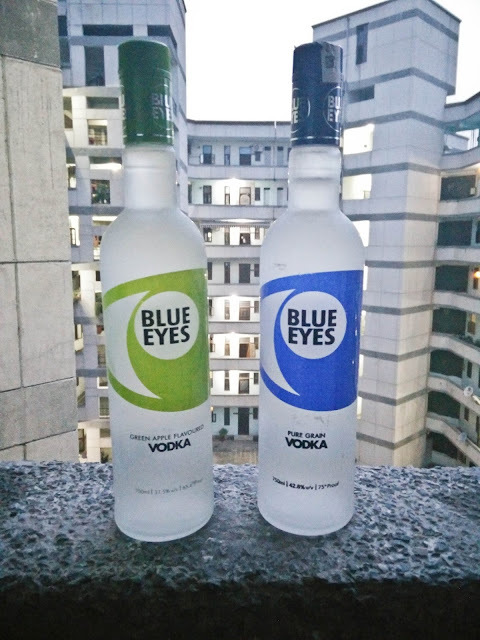 The vodka brand comes in two variants - Pure Grain and Green Apple. The company had sent us samples of both the variants requesting us for a feedback on them. I first tried the Pure Grain Vodka which is diluted to 75 proof. Every liquor contains alcohol but not in its purest form, while Pure Alcohol is 190 proof normally all the liquor is diluted down to lesser proof, in case of Vodka it is generally 80 proof. I tried this with some orange juice and a little Tabasco sauce and the drink went smoothly with little burning sensation in your throat which can be expected of any other Vodka. 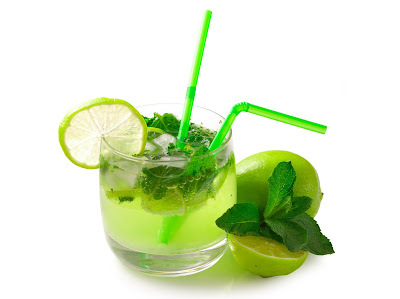 The Green Apple Vodka has a very prominent flavor of green apple and goes very well with some mango juice and lemon chunks. There is very nice aftertaste from both of these versions, making them a perfect drink to have on a Friday night with your friends, if you are looking for some liquor that suits your pocket. It will surely give competition to the well known brands such as Smirnoff and Magic Moments, in the mid-range category . 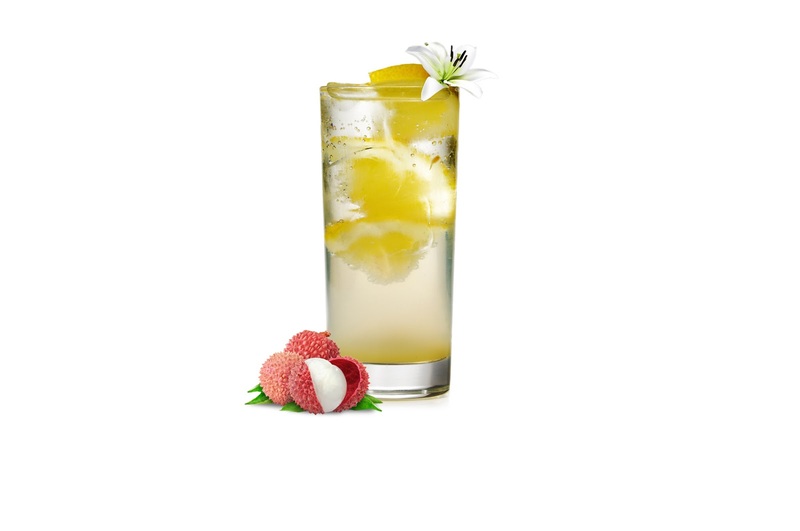 Method: Put 1/3 part of Crushed ice in a Glass, Pour 45ml of Blue Eyes Vodka, pour 60ml Lychee Juice, Limca 60ml & 2-3 Drops of Lemon Juice. Slightly Stir. Method: Blend Half Tomato, Cucumber & Melon in a Blender with Some Crushed Ice. Add Blue Eyes Vodka 45 ML Add Sugar to Taste Pour in a Glass. 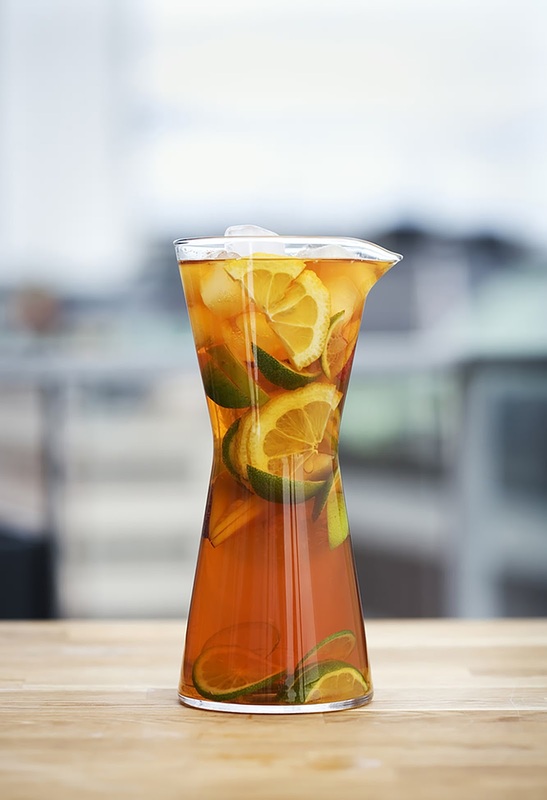 Method: Dip 2 Green Tea Bags in 20ml boiled water in a Shaker, Squeeze a little, pour the water in a Glass already filled with Ice Cubes. 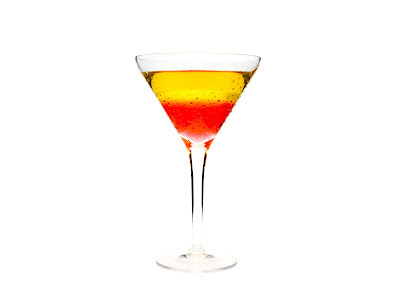 Add 20ml Revolution Gin n Lime Duet with 40 ML Blue Eyes Pure Grain Vodka, Sugar Syrup & lime Juice to taste. Disclaimer: A sample of the product was sent to us for a review. However the opinions expressed in the post are honest and unbiased.